I love my bread. I mean, I seriously love it so much I'll be happy living off freshly baked loaves with crunchy crusts, some butter, and of course, cheese. I love the feeling of opening up a new bag of sliced bread and running my hand over the flesh, so soft and pillowy. Warm bread is even better as I get to watch the butter melt slowly as I spread it on. My sister feels similar about bread as I do, and once while on a 2 hour trip home, we shared a 10 inch round Vienna that was still warm from the oven. It was AMAZING. Now, I apologise if I've made you suddenly crave a nice baguette but before you head to the local bakery, you need to know something. Cheap bread, for example, sliced white bread for a dollar or two, isn't always vegetarian. You're probably wondering "What does she mean? How can bread not be vegetarian? It doesn't even have milk or eggs in it!" Well, you're in for a surprise. 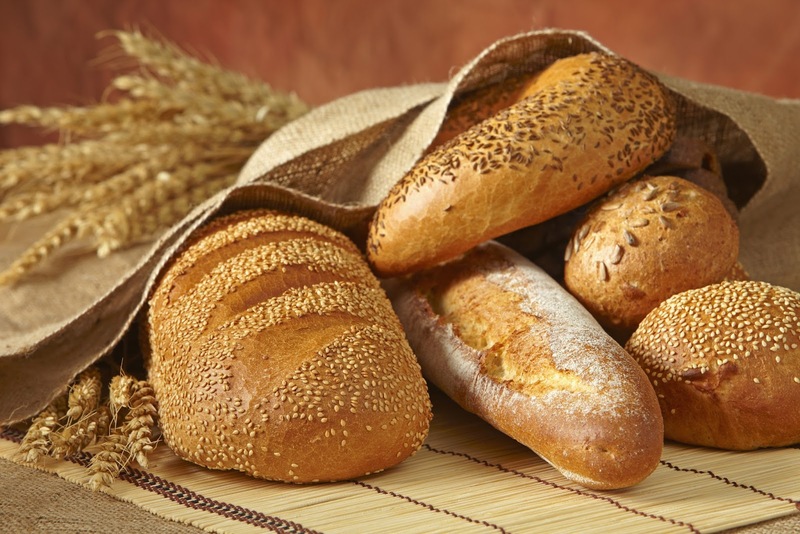 L-Cysteine, also known as bread improver, flour agent, dough conditioner or additive e910, e920 and e921, is used in dough production. It strengthens the gluten and feeds the yeast, which yields a more reliable loaf and shortens the production time of baked goods. L-Cysteine is a sulfur-containing amino acid that is made from either duck feathers, hog hair or human hair. Back when I was a patisserie student and was , I learned all about L-Cysteine and I could see the difference in loaves baked with the substance and loaves baked without, but the difference was mainly due to the time constraint during lessons. It meant that doughs without any conditioners didn't have enough time to prove to twice its size. It's generally found in most cheap bread but it can be found in other bread too. It's best to do your research and read the ingredients list on the back of every bread product before you buy them. Regularly check your usual brand just in case they've changed the formula to reduce costs and production time. I personally buy Wonder White bread because it's free from animal-derivatives, each loaf lasts a week while still keeping its fresh texture and softness, and compared to other similar, and cheaper, sliced white breads, it is superior and thus worth the price tag of $3.30. Time to make myself a sandwich. See you soon.